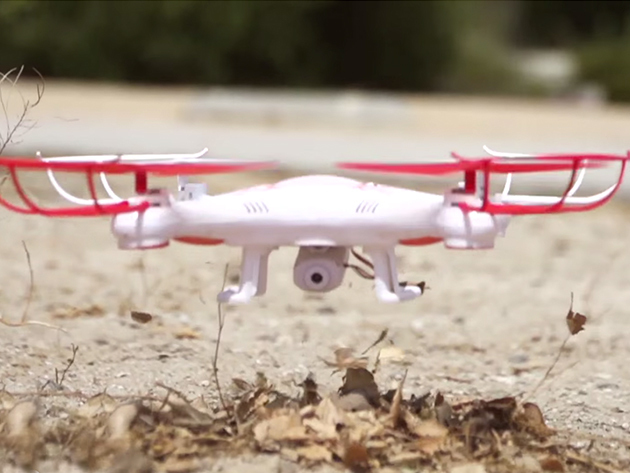 In the UK, a tragic accident involving a drone has left one toddler without the use of an eye. After clipping a tree, the drone spun out of control; a spinning blade cut his eye in half. It was up for about 60 seconds. As I brought it back down to land, it just clipped the tree and span round. The next thing I know I’ve just heard my friend shriek and say, ‘Oh God no’ and I turned around and just saw blood and his baby on the floor crying. He was attempting to land the drone when it crashed. I can relate to Evans’ issue with piloting a drone; I’ve also crashed a drone into a tree when trying to bring it down. Luckily, I didn’t injure anyone, but flying a drone isn’t easy. But it makes me wonder when stricter drone regulations will come into play — and not via FAA mandates. Drones are cool as all hell, but also not toys as we know them. Things with open, spinning blades are dangerous. And while it’d be improper to fill the air with FUD about how dangerous drones are day-to-day based on one incident, we should consider what’s on the horizon. Businesses want to use drones for various tasks, while Amazon and Google want to deliver goods using unmanned aircraft. That’s a lot of unruly drones flying overhead. It’s easy to foresee a time where there’s a method to opt-out of drones flying over our homes, or the option to disallow certain types of drones from entering your microclimate of airspace (you’ll still want Prime Air delivery, I’m sure). And that would be okay. As a guy with a drone, I’d be happy not to fly near homes or businesses that don’t want me there. If it put people’s minds at ease for me to fly elsewhere, that’s just fine. Besides, software like DJI’s prevent me from flying into no-fly zones anyway.